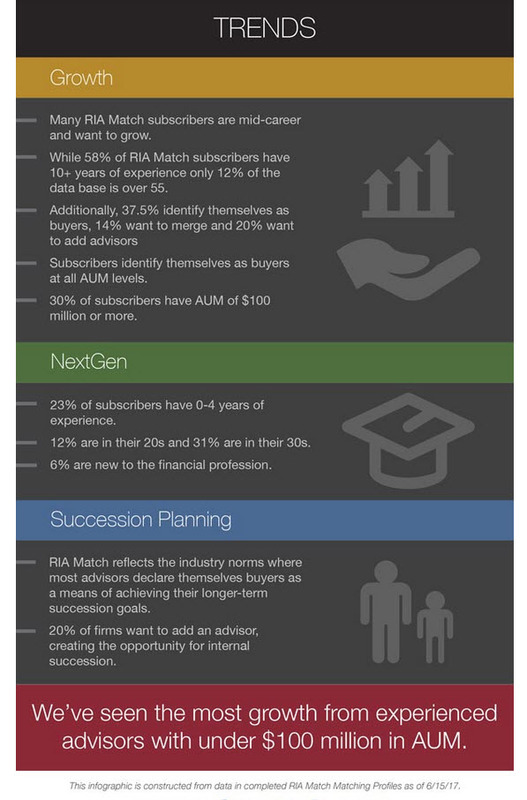 Summary: Annually we report on our subscriber data to provide insights to advisors as they refine their firm’s succession and strategic growth plans. 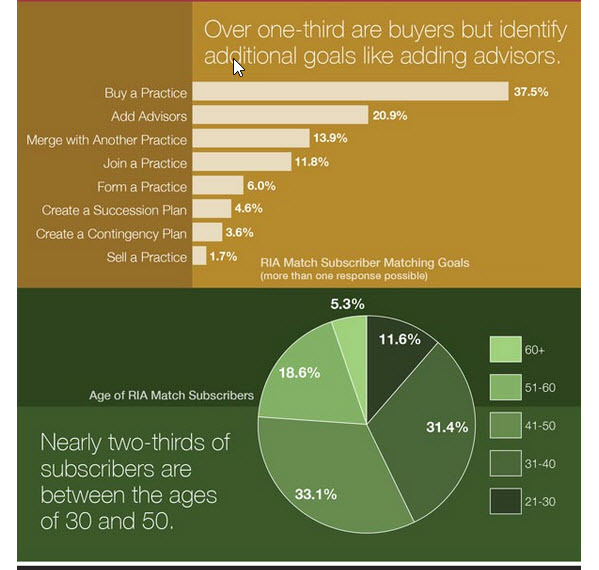 This aggregated subscriber data offers insight into the trends and goals of over 3,600 advisors. 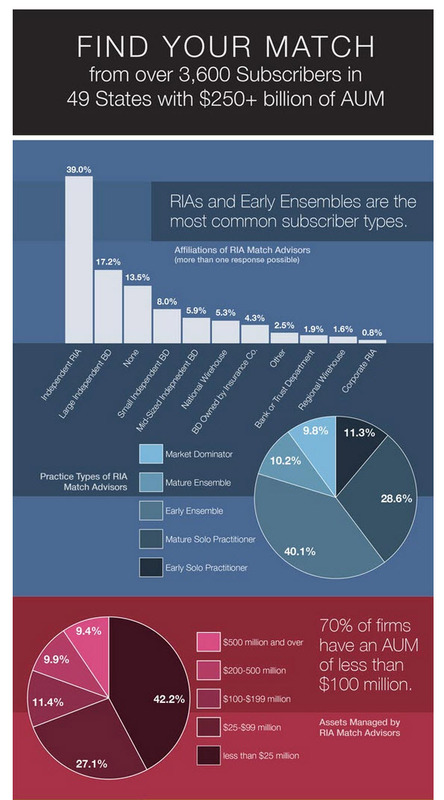 Download our latest RIA Match Infographic where we provide a snapshot view of the subscriber’s participation, trends, and goals. We hope you find useful.